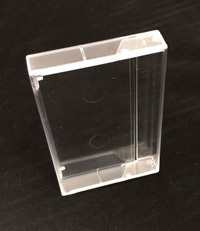 We've replaced all the different length cassette items with a single item for each tape type from which you can order any length and color. 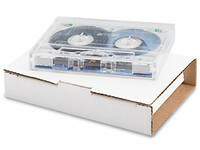 We custom-load tapes to the exact length you need. 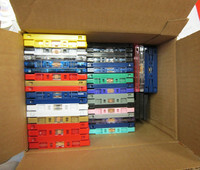 We also have some pre-loaded and surplus tapes. Browse the categories to find what you are looking for. 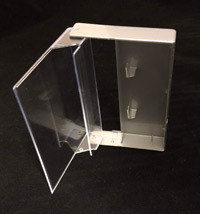 Perfect for prison tapes, or if you love the transparent cassette! 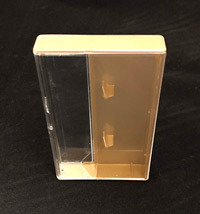 No screws, 10 pack of blank audio cassettes. Normal bias tape, tab-out, yellow leaders. 90 minutes total, 45 per side. Tape Type: Music Grade Normal Bias. 10 pieces of 20 minute normal bias tape loaded into various coloured cassette shells. 50 pieces of 20 minute normal bias tape loaded into various coloured cassette shells. 10 pieces of 25 minute normal bias tape loaded into various coloured cassette shells. 50 pieces of 25 minute normal bias tape loaded into various coloured cassette shells. 10 pieces of 30 minute normal bias tape loaded into various coloured cassette shells. Pre-loaded normal bias tape, 9 minute per side, 18 minute total, pale green shell. Pre-loaded surplus cassettes. Roughly 45 minutes/side, 90 minutes total. C0-TONRRUBINE shell. My tapes came quickly and were beautiful! The assortment was varied and would serve as a good "product sample" if you were interested in a duplication project/release. Tapes like these are part of what keeps "tape culture" alive.